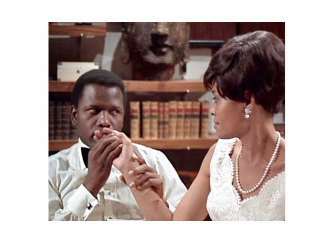 (1968) Jack Parks (Sidney Poitier) is a drifting gambler who runs a floating crap game from the back of a truck. Ivy Moore (Abby Lincoln) is the maid for the Austin family who is being driven crazy by her employers, in particular the mother Gena (Lauri Peters). Jack is approached by the two teenage Austin children who try to play Cupid and bring Ivy and Jack together. The two kids dearly love Ivy and hope that a romance will keep her in the family's employment. Ivy and Jack, although from very different backgrounds, manage to hit it off and contemplate marriage in this light romantic comedy.